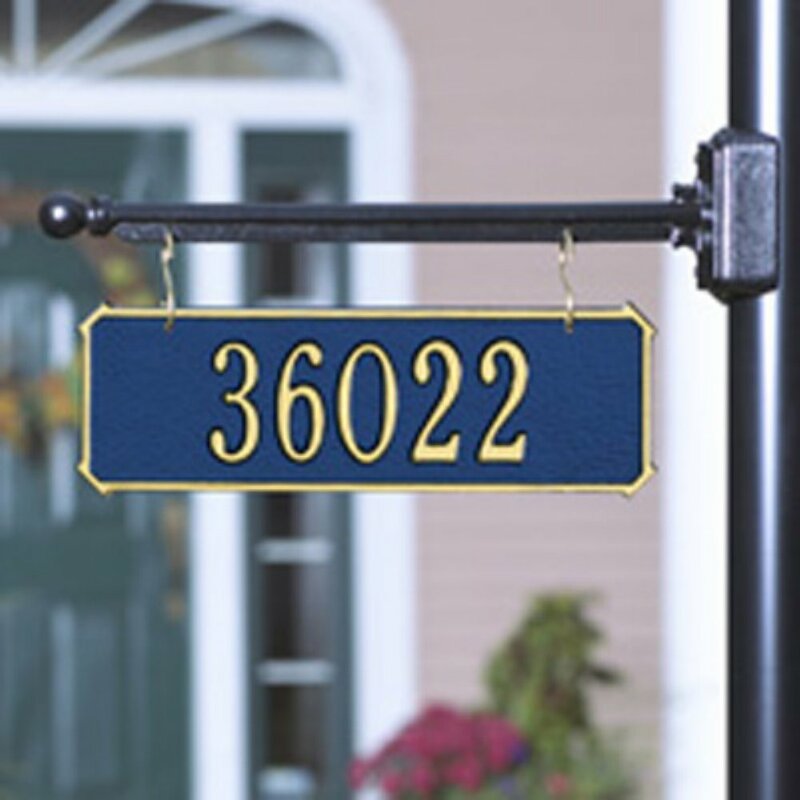 This two sided hanging rectangle plaque displays your address on both sides! 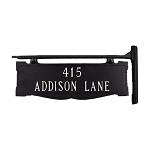 Made of recycled rust free aluminum, the two-sided address plaque is built for durability in all types of weather and is painted with a weather resistant finish. 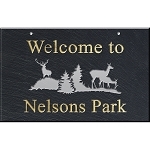 The plaque has permanently raised letters on both sides and is available as a one-line plaque or two-line plaque. Made in the USA. 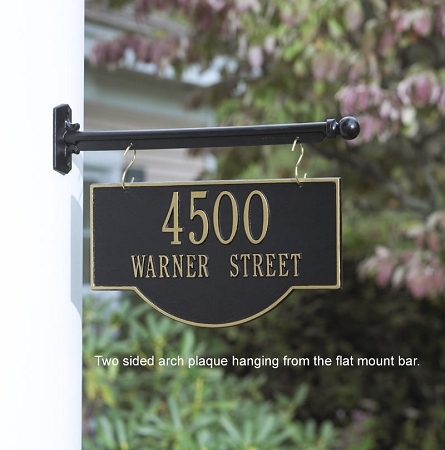 The hanging plaque includes S hooks for hanging from your light post, mailbox post, porch, exterior wall or wherever you need a hanging plaque. 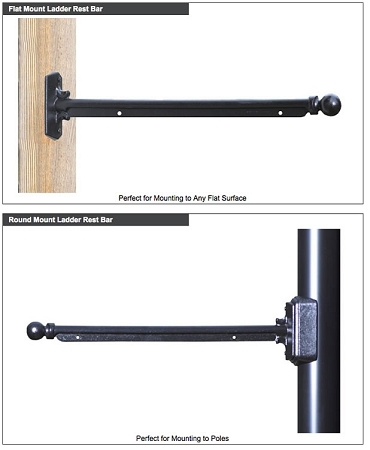 An optional hanging bar is available for mounting to a flat surface or a convex surface. Center to center on holes: 10.5"
- Flat Mount: Attaches to flat surface. Includes hardware for mounting. Service was fantastic. One item was broken by the shipper. It was replaced with no hassle in a very timely manner. I am delighted with the product and service. I would gladly recommend to anyone. * Ready to ship in 1-2 weeks. Add 1-5 ship days. Colors other than black may take a bit longer.